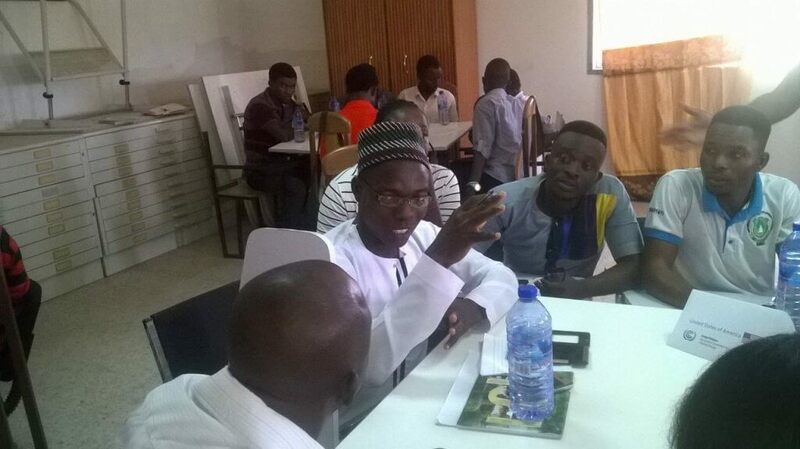 My fourth World Climate Simulation event was at the University for Development Studies, Wa campus in Ghana held on the October 14, 2016 during the World Climate week. The simulation was attended by students from the Department of Environmental Management Studies, graduate students from the Faculty for Integrated Development Studies, and representatives from the Climate Change Initiative and Food Security Organization. 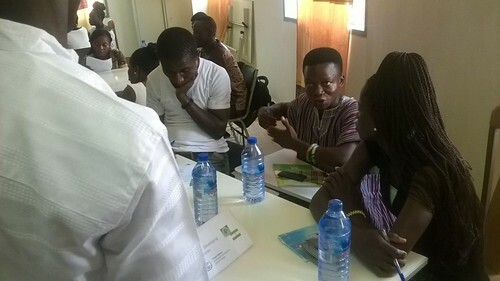 The Upper West Region of Ghana is a sensitive and an important place to run a World Climate Simulation given that it is one of the regions where the impacts of climate change are being witnessed. There are impacts such as disturbed rainfall patterns, outrageous hot weather, drier winds, less precipitation, and occasionally high amounts of rainfall resulting in flash floods that displace people and destroy property. Being from this region, most participants had a fair amount of knowledge of these weather changes and this made the simulation of global efforts to curb climate change even more interesting. Their passion to take part in the negotiations was exhibited in their sharing of daily experiences living in the region. During previous events, I had to take time to explain to participants the process of making a good policy plan, since there were terms which were not familiar to attendants (example, REDD). However, upon using the new C-ROADS software, most terms were easily understood by the delegates prior to explaining the entire game to them. Most of them could easily anticipate how the software worked upon receiving their proposal forms and seeing the projected scenarios. This round of negotiations spanned 50 minutes and new and ambitious commitments achieved a global warming of 1.8 deg C with the US contributing $40B to the Green Climate Fund, increasing their afforestation efforts from 30% to 80% whilst committing fully to prevent deforestation. World Climate events have been very inspiring to my work as environmental activist and social entrepreneur. Right after COP22, I held a World Climate Simulation event with business consultants and young entrepreneurs to enhance their understanding on how climate change is affecting their businesses and the national economy. I also worked with Gabila Franklin from Cameroon to organize a World Climate Simulation during the YALI West Africa Region Leadership Training on the 25th November 2016. Looking forward to 2017, I plan to engage more people using other climate simulation tools and additionally training new and past participants to be World Climate facilitators. I am also planning on engaging academic institutions to use C-ROADS and other systems dynamics tools and resources provided by Climate Interactive to enhance knowledge and understanding of climate issues among their students and faculty.